This one is to help learn how to make complex games for various platforms using Stencyl 3! 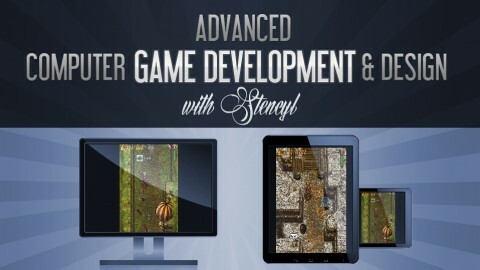 Learn to create amazing cross-platform computer games for Windows, Mac, Linux, IOS, Android & Flash with Stencyl 3! This course has been especially designed to take your complete beginner or intermediate level skills in Stencyl and build them up to the level required of a professional indie game developer. Where as the foundation course (Create your First Computer Game with Stencyl), teaches you many important skills, concepts, and techniques necessary to implement core gameplay, utilise sound, and implement some basic AI, this course will teach you how to Create a complete, professional grade computer game which can be published on all the most popular platforms — Google Play, IOS, Windows, Linux, Mac, Flash etc. Black Friday Special —> App Store Optimization for Beginners – SEO for Apps.